As prescription mind altering drug use becomes increasingly prevalent, I am among those who get to witness cause and effects. It does not take a particularly astute observer to know there is something wrong here. While alternatives to blow-your-mind drugs may not be as convenient as a handy-dandy little pill, they may well be worth the extra effort. I will let the following linked article excerpts speak for themselves. By all means go to the links for the full story. 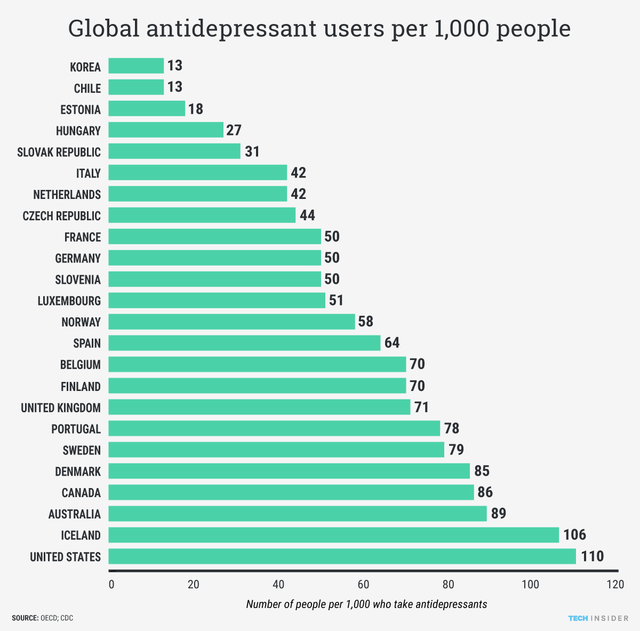 The OECD suggests two possible reasons the rate of antidepressant consumption is on the rise in so many countries. The course of treatment lasts longer than it used to, and antidepressants are now prescribed not only for severe depression, but also for mild depression, anxiety, social phobia, and more. Psychiatrists can’t predict what adverse side effects you might experience because not one of them knows how their drugs work. Psychotropic drugs are increasingly being exposed as chemical toxins with the power to kill. Psychiatrists claim their drugs save lives, but according to their own studies, psychotropic drugs can double the risk of suicide. And long-term use has been proven to create a lifetime of physical and mental damage, a fact ignored by psychiatrists. Common and well-documented side effects of psychiatric drugs include mania, psychosis, hallucinations, depersonalization, suicidal ideation, heart attack, stroke and sudden death. Not only that, but The US Food and Drug Administration admits that probably one to ten percent of all the adverse drug effects are actually reported by patients or physicians. No blood, urine, or chemical imbalance exam can test for the presence of a mental disease or illness. 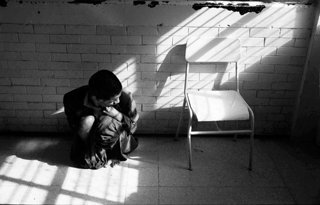 Even x-rays or brain scans can’t show the presence of a “mental disorder.” [] This leads many to believe that healthy patients have a great possibility of being diagnosed with supposed “disorders” even if they are only displaying minor symptoms. Many of these symptoms include stress and difficulty concentrating – issues that can often be chalked up as a natural response to everyday stress. That means the United States has 30% more children than the rest of the world on addictive stimulants, antidepressants, and other mind-altering drugs. That’s not a number one position to be proud of. And they aren’t alone, and other psychiatric stimulants have had similar warnings issued for their effects on children. What’s the problem? Well, for starters, these drugs may cause psychotic behavior, heart attack, stroke and sudden death. If that’s not enough, add suicidal thoughts and inclinations toward violent behavior to the list. That’s according to a U.S. news report. No surprise, these drugs have a tendency to be highly addictive. Unfortunately, because kids are prescribed these drugs en masse, availability isn’t much of an issue and they don’t need to head over to skid row to pick this stuff up. 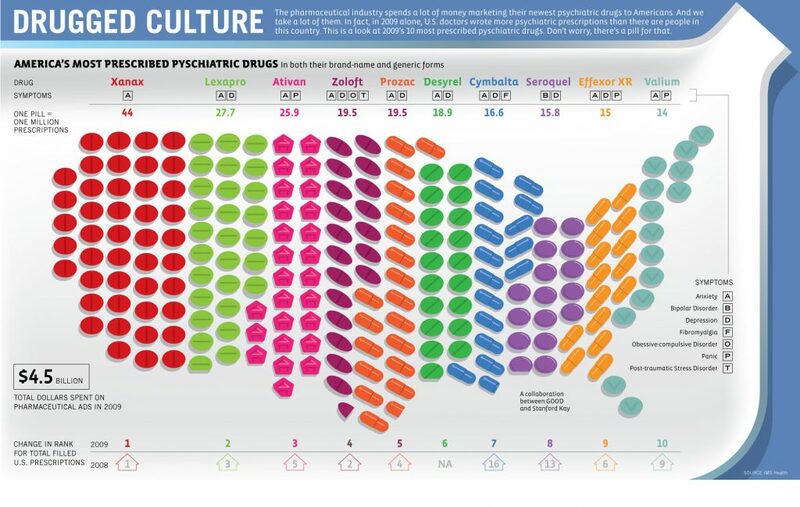 No offense to family practice physicians, but should they be the ones prescribing the majority of these mind medicines? 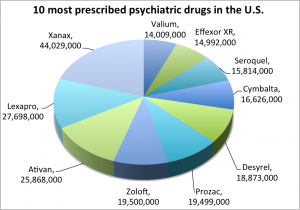 Pragmatically, this statistic literally means that a majority of these drugs get used without a psychiatric evaluation to determine if they’re necessary, appropriate, or safe.